Having poured my exhausted heart into Chapter 4, I’m a bit astonished at just how much work there still is. 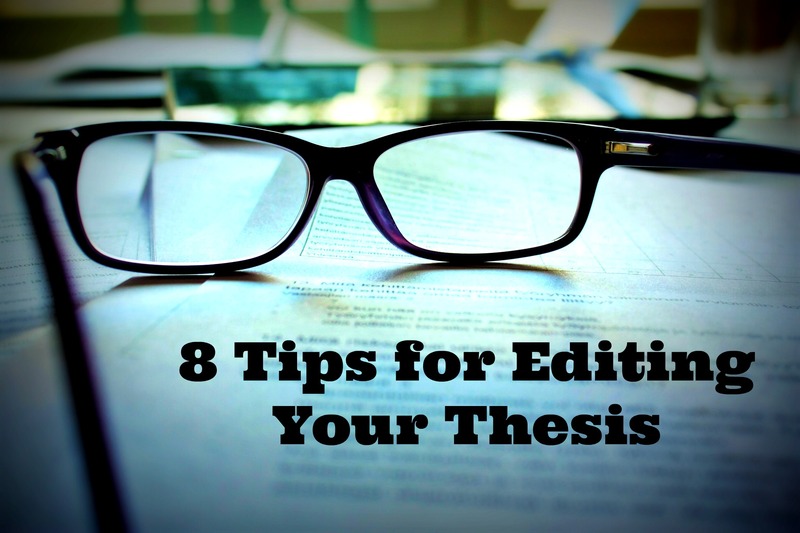 Finishing your chapters only means that you’re about to start on the next big thing: editing. Of course, Chapter 4: American Dreams and Nightmares in Joyce Carol Oates’ The Accursed, came back with its own set of comments and editing still to do – cue pathetic whimper. I’m putting them on the back-burner for now because it is time for the BIG EDITS. It is time to go over everything I have written – every panic-inducing article, noun and *gasp* adverb – and let the metaphorical scissors fly. I have about 12 000 words per chapter. I’m bargaining on a 5000 word intro, and – rather optimistically – a 3000 word conclusion. Not only have I exhausted my repertoire of words, I have overdrafted my available words. I am, with a projected total of 56 000, squarely in the red. So much so that my supervisor joked that I might as well forge on and turn this thing into a PhD. Big lulz. Take a couple of days, stock up on some tasty (or, if you insist, healthy) treats and prepare for the process. Give your ‘eyes’ a chance to reset, so that you can approach the thesis with a new set. Now, I’m fully aware that this is akin to suggesting that a couple of days away from your child will allow you to not recognize them, but bear with me. You’re not the same person who wrote Chapter 1. Since then, you have acquired more knowledge and insights as you worked on your other chapters. Taking a breath allows your brain to catch up to the now you, the new you. This, my friend, facilitates the freshness of the eyes. Some people find they can’t study when they’re on Level 1 of the library because they’ve always done it on Level 2, and now Level 1 seems completely alien when in study mode. Theoretically, the same thing applies to writing a thesis. Embrace the alien and take this opportunity to brood in that coffee shop where the hipsters hang out. Remove yourself from your comfort zone, order some life-sustaining espressos and have at it. New place = new eyes. If you’re used to typing away at your laptop or, if you’re lucky, your wonderfully spacious screen, print the thesis out. The inverse would, admittedly, be more difficult, but you would’ve had to type it up anyway and this way you see the thesis in a new form. It’s really all about the newness. There’s a lot to be said for formatting and seeing the thesis in its ‘final form’. Make sure it’s spaced properly, have the chapters and chapter headings all formatted and pretty and judge the product on what you want the audience to see. If you have that one true friend, the one who would take a bullet for you, test his or her loyalty by dropping your thesis in their lap. They can provide the freshest of eyes. Alternatively, if you’re not that cruel, seek help from your friends in other ways. Beg for coffee, or food, or tissues. There are many wonderful resources on thesis-writing in the blogosphere. The most useful I’ve come across are The Thesis Whisperer and Research Degree Voodoo, two well-known blogs on the PhD process. Most of what they post is applicable to Masters theses too. Another invaluable tool they’ve led me to is the University of Manchester’s Academic Phrasebank, which provides lists of ways in which to say the things you need to say… succinctly. Kill Your Darlings. An oldie but a goodie, and my least favourite bit of advice. Sadly though, it has to be done. If you’re advised to slash those marvellous turns of phrase – those bon-mots of astounding astuteness – in fiction, you can imagine that academic writing takes an even starker approach. Clarity and conciseness are paramount. If you can be dazzling in a few words, all the better. 10 Tips For More Concise Writing can help. I have stressed the need for fresh eyes in this post, and that requires an amount of distancing and defamiliarisation in terms of your work. In that sense, you really do need to get out of your comfort zone to make that mental shift from writer to editor. That being said, you don’t have to go sit in muggy room with a straight-backed, splintering chair and a single lightbulb to keep you focused. This is the last bit of your thesis-process, and I’ve been advised – and this nugget comes from my supervisor herself – to enjoy it. To facilitate this, I’m going to do the editing in the comfort of a cosy coffee house that I’ve wanted to spend time in since it opened a few months ago. I’ve been saving that experience specifically for this occasion. My last bit of advice: Have fun, and get it done.